Slack is hot. The team collaboration app is being readily embraced by businesses because of its fun, consumer-like features such as emoji, and for its business gravitas including seamless integration with apps such as Dropbox, GitHub, and Trello. 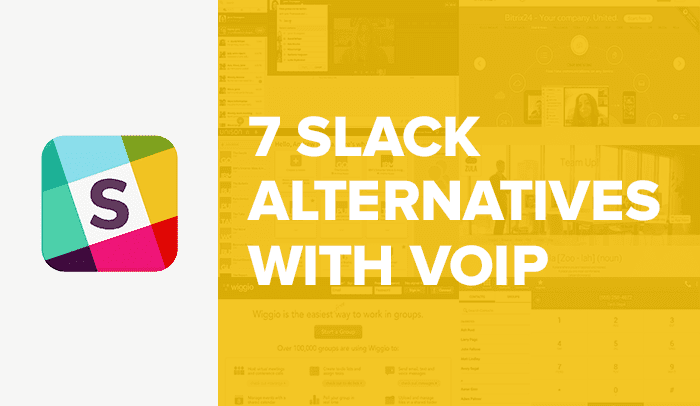 Since Slack currently has no native VoIP options nor plans to add the feature, we looked at several robust Slack alternatives that do have built-in VoIP features. Bitrix24 is a comprehensive, internal social media platform for businesses. It offers task and project management; chat and video; document and CRM integration and more. Plus, it has a plethora of VoIP calling features. One feature is the ability to connect SIP Phones to Bitrix24. Bitrix24 assigns a server address, login and password to each user which can be used to connect a SIP phone. You can also connect landline DECT phones that connect to a SIP gateway. Bitrix24 also supports Windows, iPhone and Android mobile devices with softphone applications installed on them. Other VoIP tasks include record conversations, add incoming call events to the CRM, create contacts from incoming calls and view call reports. There are also some granular settings such as specifying the number your contacts see when you call them and blacklisting annoying phone numbers. Unify is a communications software and services company with a global presence. 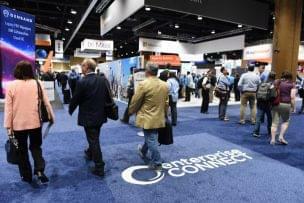 The company offers end-to-end unified communications. Its services range from small team collaboration to enterprise-level call centers. Unify’s Circuit is one of its services which has a similar feature set to Slack. Circuit provides voice, video, screen sharing, messaging, and file sharing in a single view across desktops and mobile devices. Circuit’s click-to-call features allows users to quickly connect with individuals and groups. Calls can also be seamlessly transferred between desktop clients and mobile devices. SendHub is a business SMS messaging solution. It offers two-way communications and group testing and one-to-one messages. Customers can send and receive phone calls through the SendHub web application, or setup call forwarding to another phone. SendHub can also provide business lines. VoIP features include call transferring, auto-attendant, voicemail and conference calling. With Speak you can choose to initiate phone calls or instant audio. Instant audio lets you talk with team members without having to accept their call. Speak can also be docked on the side of a screen for instance access to a team member. Think of it as docking people instead of apps. 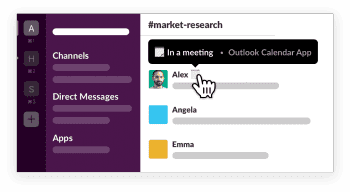 Unison features online spaces for projects and teams, messaging, video chat, voice conferencing and more. It also provides some VoIP functionality through HD audio conferencing and voice calling. For live calling, you will need to sign up for Unison’s Business Live or Enterprise subscription services. Unison may be of particular interest to those in certain industries. It is compliant with regulations in finance (NASD, SEC and broadly with Sarbanes-Oxley), healthcare (HIPAA with signed BAA) and other industries. Wiggio is a free, online collaboration toolkit for groups. Users can host virtual meeting and conference calls; create to-do lists; assign tasks; upload and manage files; create a shared calendar; quickly create polls in a group and more. The service also has VoIP integrated into its Virtual Meeting feature which includes VoIP video conferencing and screen sharing. Offered by RingCentral, Glip is a complete team productivity and collaboration platform with messaging, file sharing, and even video conferencing. With a strong focus placed on productivity and collaboration, Glip makes it easy to work as a team with file sharing, and even the ability to co-edit files directly inside Glip. Beyond just basic communications and file sharing, Glip also offers task management to help your team stay organized and on topic. Screen sharing is another great, often overlooked, featured included in Glip. Available for free, Glip only places a limitation on your video calling minutes. Slack is the king of software that you just love to use. I cant imagine to put my team to use another software. Slack is made pixel by pixel. It’s perfect! As a developer, i dream to create something like this: simple and loved by the users. People seem to love Slack, that’s for sure! Wow, Bitrix24 is amazing. It’s better than Slack in my book any day.